Ch'an Ssu Chin or "Silk Reeling" is an important part of one's Tai Chi training. 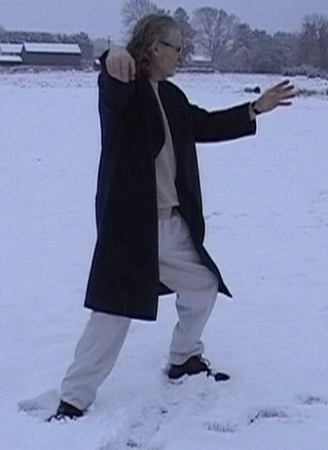 In fact it is an integral part of the advanced way of performing Tai Chi. Everything in Tai Chi is done in spirals, in a slow (sometimes explosive) manner, in just the same way that silk has to be pulled from a cocoon so as not to break the thread. Fa-Jing's correct name is actually "Fa-Jing Ch'an Ssu Chin" or Explosive Energy Silk Reeling, where we throw out explosive energy and then bring it back. So we are given 8 fa-jing training methods in order to gain this ability. These will also be taught on this 8 title series beginning with Volume One showing the first of these training methods. This series is taken from Erle Montaigue's first lessons in Swansea in Wales. So if you weren't able to get there or were there and need some back up, this series is ideal. Volume One is now available and we will be filming one volume per month until the eight are done.